An American call for a ceasefire in Yemen brought attention back to the ongoing conflict in the Middle East’s poorest country. 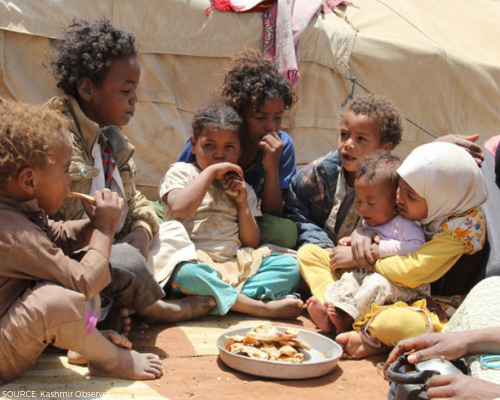 However, many people remain unaware of the humanitarian crisis that has affected Yemen for years. The ongoing armed conflict is having a deep economic impact on the country. Many people are not able to afford food for themselves and their families. And, deteriorating infrastructure has made it difficult to deliver aid and supplies--including food, water, medical items, and fuel--to individuals and families caught up in the midst of violence. As a result, thousands of civilians have died and many more on the brink of the worst famine in 100 years. Aid groups are working tirelessly to bring aid and medical care to people in Yemen. They are encountering obstacles created by the conflict, but remain committed to reaching those who need relief the most. The highly-rated charities on this list have confirmed they are working in Yemen to deliver aid, help those affected by the famine, and provide medical care to anyone in need. Please consider making a gift today.